Completely Transformed And Utterly Captivating! From Pairing A Sleek Sophisticated Look To Incorporating Smart Touches Like A Murphy Bed, This Top Floor Loft Packs Big Style Into An Efficient Open Design. Urban Accents Such As A Heightened Tongue & Groove Ceiling, Skylight, Picturesque Windows, And Exposed Piping All Meld Effortlessly With The Brand New 4” Hand Scraped Floors And Upgraded Modern Finishes. Totally Remodeled, The Classic White Kitchen Features An Abundance Of Cabinetry, Quarts Counters, Stainless Steel Appliances, Large Island/Breakfast Bar, And New Bosch Washer & Dryer. Nice Sized Bedroom With River Market Views And Extended Closet. Updated Bathroom Features All New Fixtures Including An Extended Vanity With Storage, Ceramic And Subway Tile, And A New Bath Tub. Once A Shoe Store Then A Hotel, This Historic Building In The Garment District Offers A Sauna, Pool, Fitness Center, Tanning Bed, Media Room, Kitchen, Club Room, Meeting Center, Storage & Security. Walkable Neighborhood With Unique Shops, Restaurants, Bars, And Entertainment Nearby. The River Market, P&L District, And Crossroads Are Literally Moments From Your Door, And With The KC Streetcar A Few Blocks Away It Makes It Easier Than Ever To Discover All The Urban Core Has To Offer. 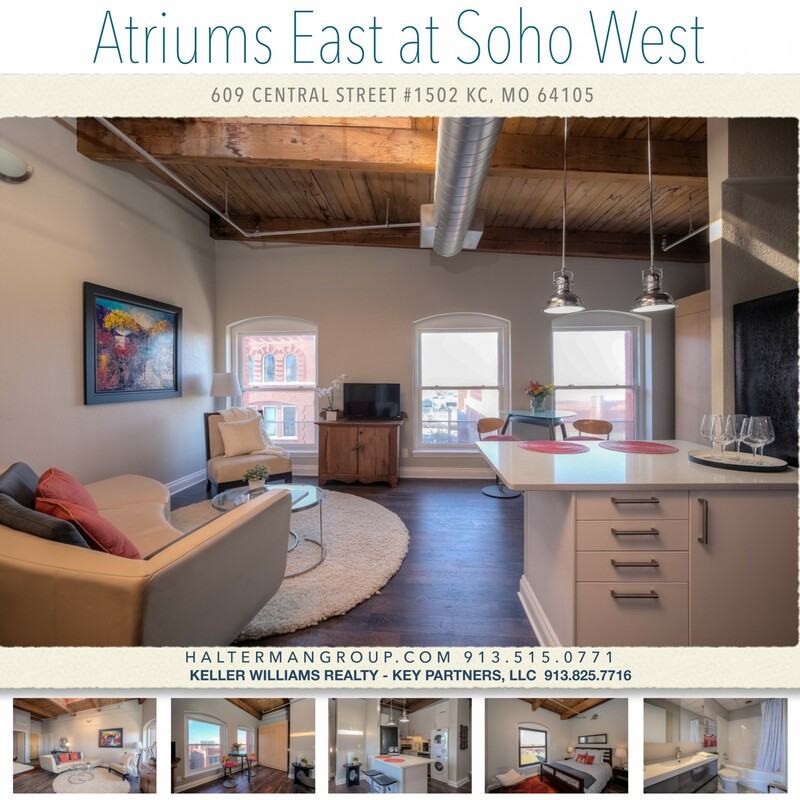 Schedule Your Private Showing Of This Gorgeous Loft Today!